Tom Ballus, second fom the left, president and CEO of Nederman, holds the WMIA's 2014 Partner of the Year Award flanked by his colleagues. 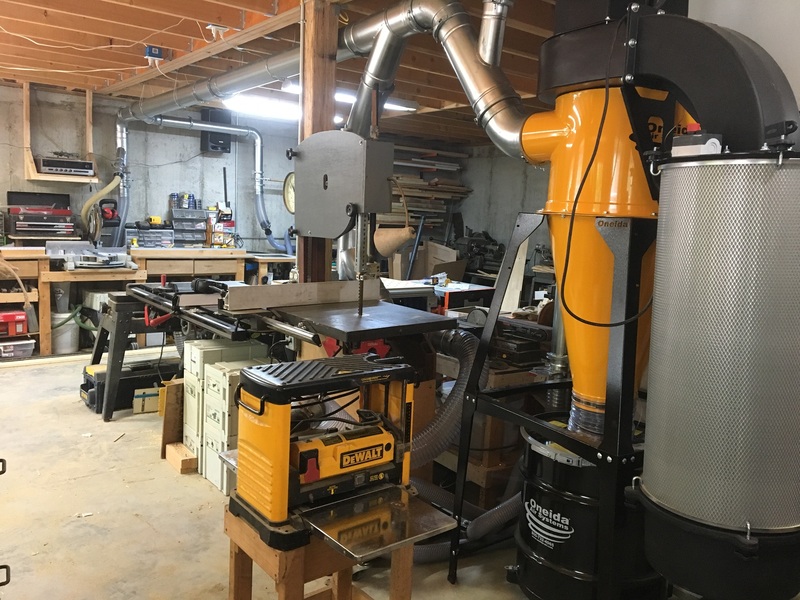 SAN JUAN, PR - Nederman LLC, a manufacturer of dust collectors and other air filtration equipment, was honored as the 2014 Partner of the Year by the Woodworking Machinery Industry Association (WMIA). 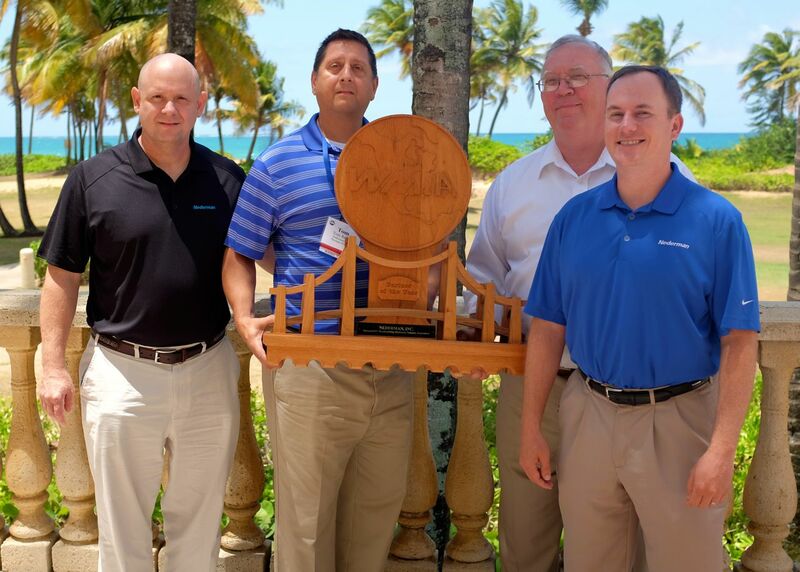 Tom Ballus, president and general manager of Nederman's Thomasville, NC, office accepted the award during a May 1 ceremony held during the Woodworking Industry Conference (WIC) in San Juan. 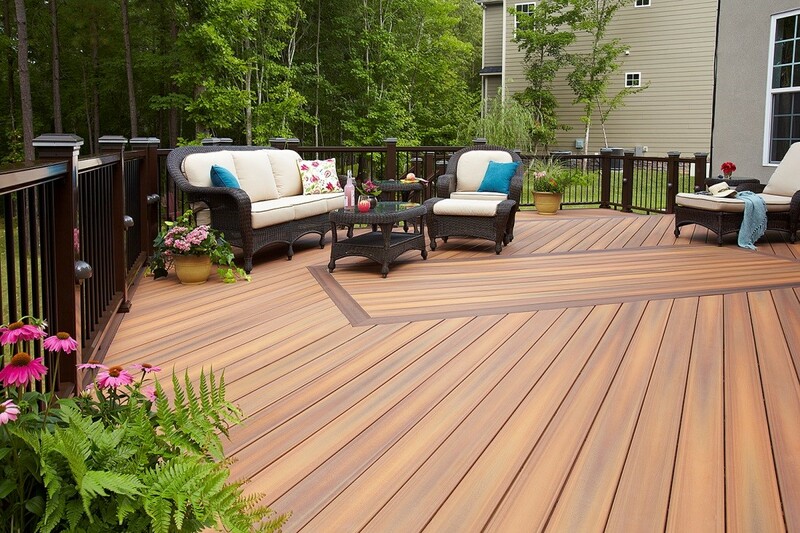 Nederman, headquartered in Sweden, was founded in 1944 by Philip Nederman. The company purchased Dantherm Filtration in 2010, becoming a global leader in dust and pollution abatement both inside and outside manufacturing facilities. Nederman's expertise also encompasses resource management, recycling, waste handling and more. Nederman was nominated by one of WMIA's distributor members. The award recognizes the company's in key support areas such as distributor relationship, sales and product, service and parts, marketing support and training. WMIA also recognized Neil Kuenn of the law firm Keeley, Kuenn & Reid. The Chicago-based lawyer has served as legal counsel for WMIA for 20 years. Among his accomplishments was advising WMIA on negotiations that led to WMIA and the Wood Machinery Manufacturers of America (WMMA) purchasing the ownership interest of the International Woodworking Fair held by the American Home Furnishings Alliance (AHFA).